After what seemed like a very long time coming, I finally got to see Vincenzo Natali’s latest film Splice at its Canadian premiere last week. In the name of scientific discovery, two maverick scientists (Adrien Brody & Sarah Polley) splice together human & animal DNA to create a new life form. It doesn’t take long before things get beyond their control. I have to say I was a bit taken aback when the credits rolled on this one, as it was definitely not what I was expecting. Everything I had seen of Splice up to that point led me to believe I was walking into a science gone wrong creature-feature, and yes, it is that, up to a certain point. Isn’t it funny that when it veered off from expectation in its third act, my initial reaction was disappointment? Despite that, I have to applaud Natali for bucking the system and giving me – if only for a few sequences – something that I won’t forget for a while. I guess I shouldn’t have been surprised about how things played out, as one of the director’s biggest influences is David Cronenberg. Whatever you're thinking of doing... DON'T! As a film, Splice is well paced and since both characters throw out the ‘what not to do if you’re a scientist’ handbook early on, there was really only one scene that teetered on the brink of implausibility. It looked great and the designs of Dren’s many life cycles were some of the most striking I’ve seen in a while. I thought, for the most part, the CG was skillfully handled, but it obviously became easier to swallow once they were being mapped on an actual actress. Speaking of which, I want to mention Delphine Chanéac, as I thought she did a fantastic job as Dren. It was also good to see Brandon McGibbon, who appears as Brody’s younger brother, as well. He & I shared the stage once or twice in our youth and it’s awesome to see that, after years of commercials and short-lived Canadian TV shows, he’s finally breaking through. Splice is a simplistic film, but it took me seeing that the cast list was only seven people long for me to realize that. The themes and the questions raised make it seem a lot more grandiose, even if they are not always satisfactorily explored. 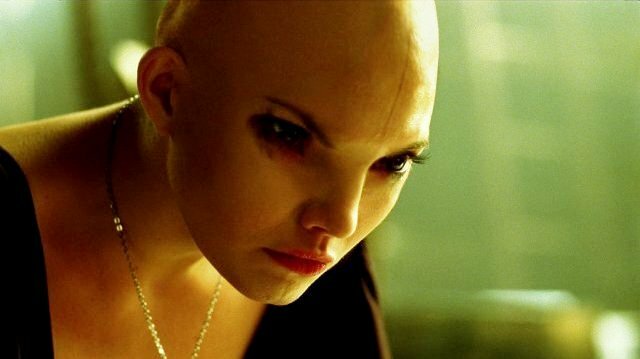 I’m really interested to see how people react to Splice - and namely its last act – when it hits the three thousand screens that Warner Brothers and E1 Entertainment fought to procure this weekend. There has been nothing in their marketing campaign to suggest where this film’s subject matter goes. Myself, I’ll take a film that actually shoots for something over manufactured studio dreck any day of the week. But will the masses? Regardless, I don’t need a cautionary tale like Splice to tell me that eventually, science, and our predisposition to mess around with it, is going to end us all.